Acting Balanced: Overstock Scavenger Hunt week 2 - Pearl Diving! Overstock Scavenger Hunt week 2 - Pearl Diving! This week's adventure to win an Overstock gift certificate sent me on a trail through a place near and dear to my heart - Jewelry! 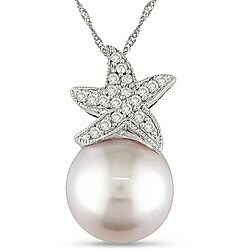 To a locale around the neck and further to the deep sea (or freshwater) prize - Pearl Necklaces! In my family, pearls are a very traditional look - and we have lovely strands of pearls that have been past from generation to generation. 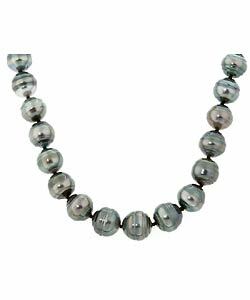 What I love most about pearls is that, unlike cold gemstones, they can reflect a warmth from the body that only pearls can. What I love about the collection of Pearl necklaces on Overstock.com is that they aren't just traditional - there are some truly funky pieces that would go in any modern wardrobe! What are your favorite pearls?